There is mixture of fixtures due to be played over the weekend with League and Cup matches on offer. On Friday evening the first matches in the South of Scotland League Cup takes place. The young Annan Athletic side face Heston Rovers at Galabank. Lochmaben face a tough test when they entertain Bonnyton Thistle at Lockerbie. There is a Wigtownshire Derby at Stair Park where Stranraer play hosts to neighbours Newton Stewart for the third meeting of the two since the beginning of the season with one victory for Stranraer and the other one drawn. 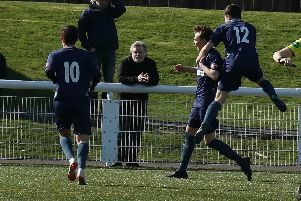 A high flying Upper Annandale will be looking to take another cup scalp on Saturday when they play Abbey Vale at New Abbey while Lochar will be looking to get back on track when they host Nithsdale Wanderers. St Cuthbert Wanderers play Creetown.